Venere.com promotional code 2015 - 8% discount off hotel booking! Cheap flights to Thailand (Chiang Mai, Bangkok , Phuket) £233/€370! Return flights from Europe to Central America from €399! Venere.com promotional code 2015 – 8% discount off hotel booking! If you plan to book your hotel accommodation through booking site Venere.com there is simple way how to save decent money using brand new Venere.com promotion code 2015! To get attractive 8% discount through this booking site you can simply use below discount code during your booking process. This discount code works on most of the hotels within Venere.com scope across all the world destinations such as New York, Bangkok, Sydney or London..
To get 8% discount off hotel booking through Venere.com simply follow below link to reveal current discount code and once you proceed to billing information use this promotion voucher code. Separated column “Enter your coupon code” to where you can past this discount code is located to the right side just under total price. Once you enter this valid discount code your payment will be automatically recalculated. If you want to take the advantage of this Venere.com discount code you have to book your hotel accommodation till 31st of December 2015. Voucher code works for travel dates till 31st of December 2016. Below you can find working booking sample through Venere.com using this promotional code 2015 easily saving 8% off total hotel accommodation fare. 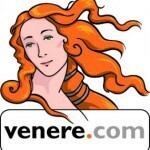 Enjoy your discounted accomodation with Venere.com!